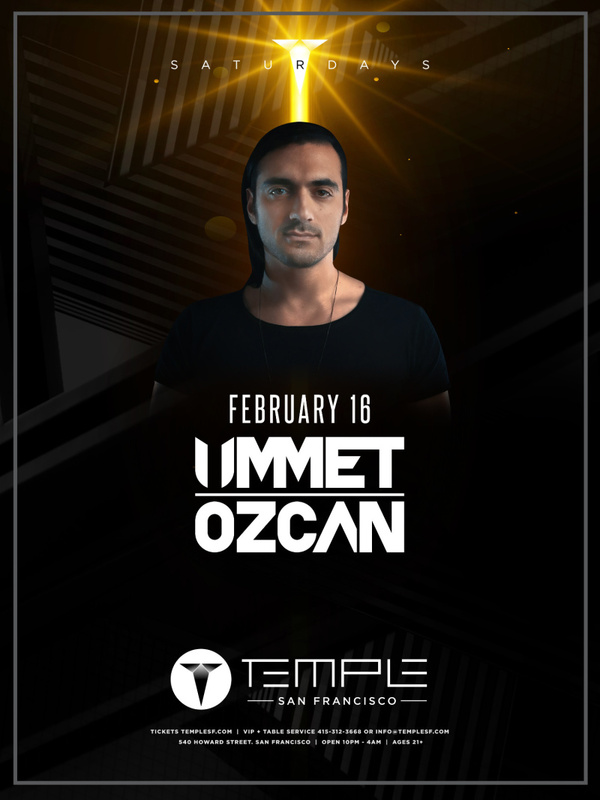 In an age where very few Artists break the mold and truly shine through as innovative artists, Dutch/Turkish star Ummet Ozcan is consistently reinventing dance music and raising the bar in every way. With Holland at the epicentre of contemporary dance music, Ummet reflects on the infectious nature of the genre saying, "The EDM scene has been very big there since I was a teenager. We've had dance music playing on radio stations for over 20 years now." Indeed, growing up in the midst of this movement has been a great inspiration to Ozcan who is now at the forefront of this global phenomenon. Since achieving his first major success in 2011 with "Reboot," which spent 7 weeks at #1 on Beatport, the veteran DJ's handful of major hits have been sampled in his peers' radio podcasts and played at festival mainstages all over the world. The seasoned artists speaks from experience, when he says, "Producing and DJing belong together; you make something in the studio and test it out in a show. DJing is fun, but producing is something I can do all my life and is the thing I started out with." In 2014 and 2015 Ozcan sees another amount of his tracks reach the highest chart positions. 'Raise Your Hands', 'Smash' and 'Superwave' all become instantaneous hits, racking up millions of YouTube views and making it to #1 on Beatport. Also more recent titles like the massive tune 'The Hum' (with Dj Mag #1 duo Dimitri Vegas & Like Mike) 'Lose Control' and 'Stars' are sure shots. It's no surprise that he's an in-demand talent who's playing to an international market with gigs at world-renowned clubs and festivals like EDC, Tomorrowland, Creamfields and Global Gathering. Despite his skyrocketing fame, the all-star headliner stays humble and focused, "I don't care for the fame, I care more about the hard work that goes into music making. I started making music because it was my passion and my hobby." Still, the perserverance hasn't gone unnoticed – by garnering support from a broad array of the world's top jocks like Armin van Buuren, Tiësto, David Guetta, Avicii, Calvin Harris, Steve Aoki and Martin Garrix, Ummet Ozcan has solidified his position at the forefront of all-star dance Producers.